The teenage son of Father Gabriel Nadaf of Nazareth, who is scheduled to join the Israel Defense Forces, suffered a brutal beating on Friday evening. He is being treated at the English Hospital in Nazareth. 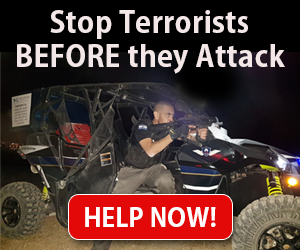 A 21-year-old affiliated with the anti-Israel Hadash party was arrested in connection with the attack, Israel’s Channel 2 television reported. Nadaf, a Greek Orthodox priest known for encouraging participation in military and national service among local Christians, said in the TV interview that his wife and other son fear leaving their home. His family has been threatened not only physically; Israeli politicians have interfered to prevent the Jerusalem Patriarchate from firing Nadaf and destroying his livelihood. The past several months have seen a growing patriotism among Christian Israeli Arabs, which has alarmed enemies of the Jewish state. Father Gabriel Nadaf speaks at event for Zionist group Im Tirtzu.